Lot Size: 0.23 Acres / 9919 Sq. Ft. Directions:FROM S MCCALL RD, HEAD SOUTH ON SEA MIST DR TOWARD S ACCESS RD. TURN RIGHT AT THE 1ST CROSS STREET ONTO S ACCESS RD. TURN LEFT ONTO BRANDYWINE DR. TURN RIGHT ONTO CORK LN. LOT IS ON RIGHT. SchoolsClick map icons below to view information for schools near 7216 Cork Lane Englewood, FL 34224. MFRMLS data last updated at April 19, 2019 8:27:25 AM PST. Home for sale at 7216 Cork Lane Englewood, FL 34224. 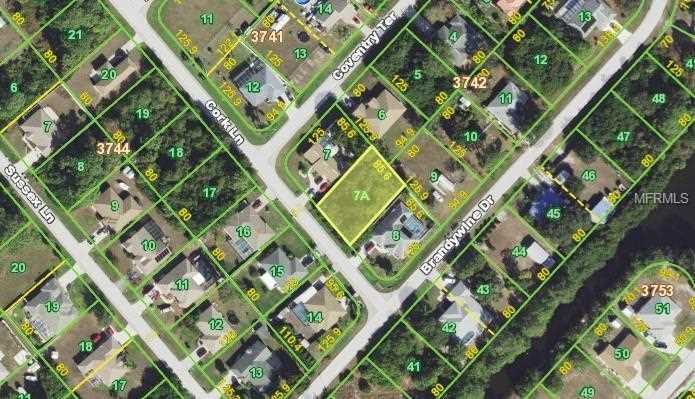 Description: The property at 7216 Cork Lane Englewood, FL 34224 in the Port Charlotte Sec 065 subdivision with the MLS# A4427129 is currently listed for $8,000 and has been on the market for 67 days. You are viewing the MFRMLS listing details of the home for sale at 7216 Cork Lane Englewood, FL 34224, which features 0 bedrooms and 0 bathrooms, and 0 sq.ft. of living area.